We are very pleased to hear on the local news today that the much loved conker tree located near our head office has been saved! 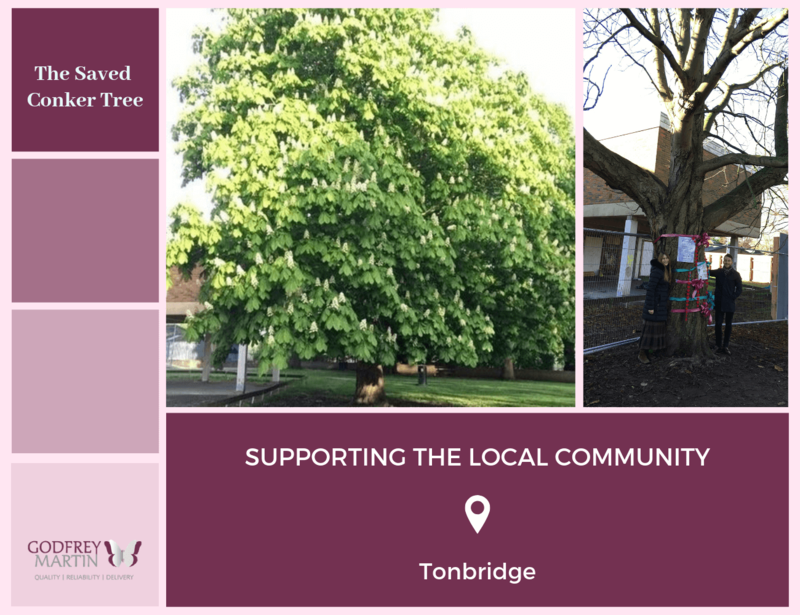 A new Medical Centre is coming to River Lawn Road in Tonbridge and a magnificent Horse Chestnut tree which is cherished by our local community was supposed to be cut down as a part of the pre-construction works. Being proud members of the local community our office team has supported the petition for saving the Tree which even got TV coverage and huge local support. Following the petition, the developer has made some minor alteration to their scheme and the tree has been saved. This is a massive victory for the local community, a step in the right direction for construction companies and local communities to work together and a good example of sustainability in the construction industry. Trees and green spaces not only contribute positively to physical and mental wellbeing, but they are also vital to the improvement of the environment. Considering the environmental impact should be on top of our list when we are looking into the improvement of our project planning and sustainability.